Prospero Players, a Newcastle based non-profit theatre company, are pleased to announce the staging of their latest production The Glugs of Gosh at the Playhouse, (Civic Precinct, Newcastle). This dramatisation of The Glugs of Gosh is based on C.J. Dennis’ Australian Classic. 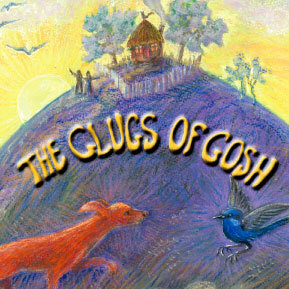 First published in 1917, The Glugs of Gosh is a story of Sym and the dwellers of Gosh. It portrays reckless corruption and decadence, blind acceptance, treachery and the triumph of individuality with an undeniable relevance to our time. Prospero Players has developed a production with a sensitivity to the original work and that can be enjoyed by all the family. This company is highly regarded for their sincere attempts to create productions that are a synthesis of all the arts and The Glugs of Gosh combines an attention to Dennis’ magical verse with music by Peter Muddle, set design by Sophia Montefiore and costumes and make-up by Vija Docherty and Lee Zaunders. The poignant irony and superb rhymes of C.J. Dennis’ work are best appreciated when spoken out-loud, therefore, a dramatisation of this quality is not only a joy to witness, but also pays deep homage to a text that really ought to be more familiar to us all. (02) 49545588 (Vija) or 0402 813178 (Joel).